Membership is critical to BAPA’s success. Approximately one half of BAPA’s annual operating budget depends on membership contributions from neighborhood residents and businesses. About one quarter of BAPA’s funding comes from special event and program area revenue, and the remaining one quarter from private donations and grants. Residents of Beverly and Morgan Park can enjoy many benefits when they join BAPA. Find out why membership pays. Your business membership to BAPA is a powerful marketing tool that can open many doors. When you make a donation to BAPA, you’re helping fund important initiatives that benefit Beverly Hills/Morgan Park. We appreciate your support at any level! Get engaged in your civic/homeowner association and work with your neighbors to identify and resolve small problems before they become big issues. 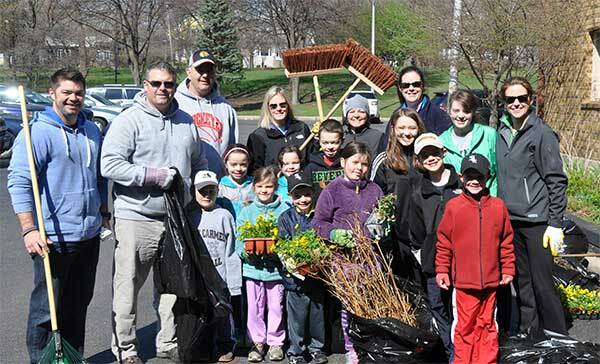 Volunteer for BAPA’s community-building events: the Beverly Hills/Morgan Park Home Tour, Ridge Run and Memorial Day Parade, and Beverly Hills Cycling Classic. Read and add your voice to BAPA’s monthly paper, The Villager and the weekly BAPA e-news. Persons interested in donating time as a volunteer are encouraged to call 773-233-3100 or email us. Interested in making a bigger commitment? Email Susan Flood to learn more about serving on BAPA committees.